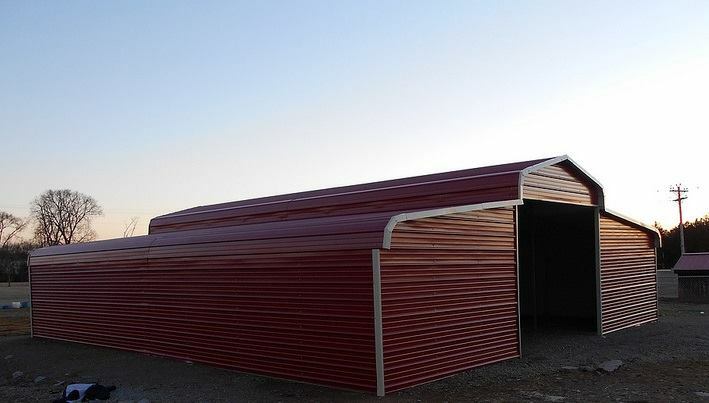 Better Metal Buildings offers a variety of carports, garages, barns, storage sheds, utility buildings, and more, with configurations that are ideal for the full spectrum of size, usage, and application. 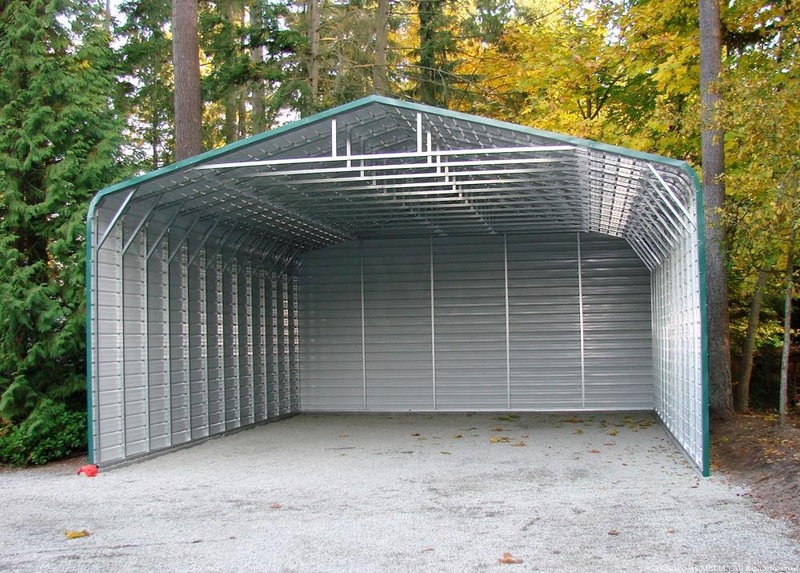 Our custom metal buildings are available in a range of sizes and configurations to suit nearly any installation site, application, and budgetary requirements. Continue reading below for further information regarding our customizable steel building models. If you live in a climate with heavy snowfall or heavy rain, Carport Central recommends the vertical roof style carports. The vertical roof panels allow snow and rainwate6r to exit off the sides. This is an A-frame designed roof with panels installed vertically, with the corrugated ridges running from the highest point on the roof down the side of the building. We also recommend that all buildings longer than 36’ use a vertical style roof. This is also an A-frame design, but rather than vertical panels, these panels are installed horizontally. This is more affordable since it does not have the hat-channel pieces that need to be installed with a vertical roof. Good for areas that have some heavy winds but don’t get a lot of snow or heavy rains. This roof style is the most economical. Here in the regular style roof carport, the corrugated ridges run from end to end. This roof style is great if you live in an area without heavy winds and rains. Perfect to protect your cars from sunshine and damage from exposure to the sun. 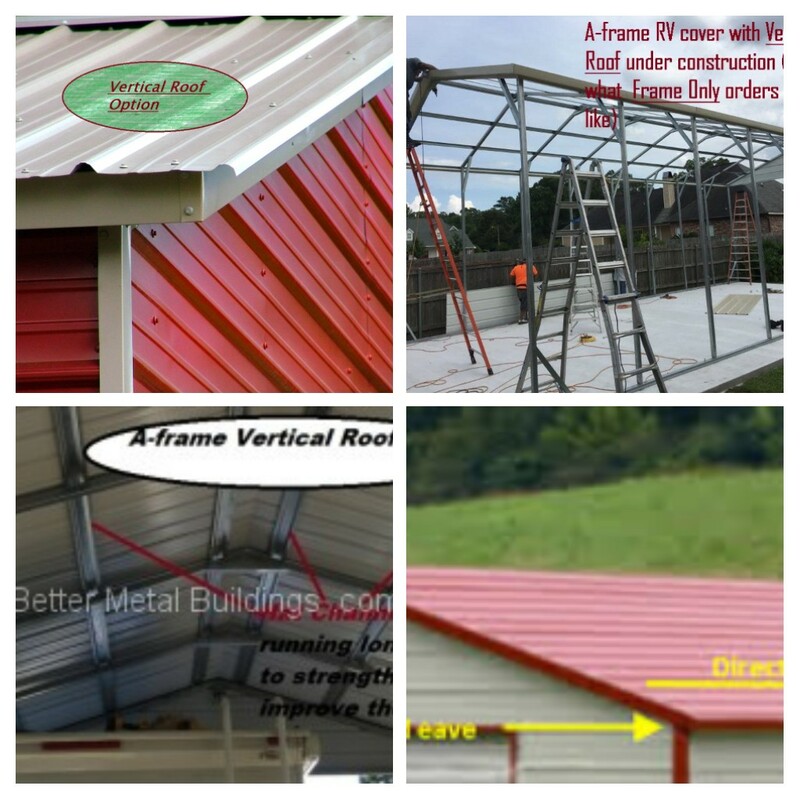 We offer steel structures or buildings of any size to fit your needs. Building width size starts at a standard width of 12’ and we can build it as wide as you need with the proper support. Any building wider than 32’ will require a lift at the installation site. 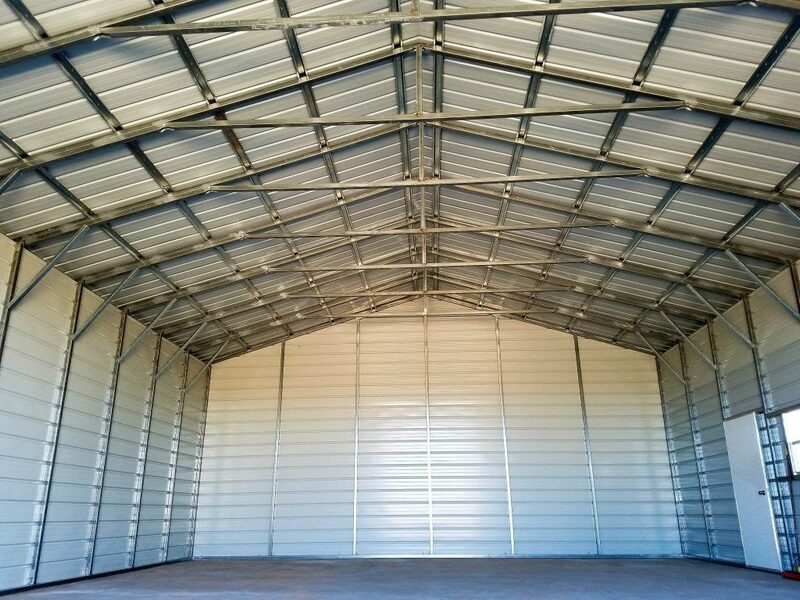 Industry standard length for a building is 21’, but Better Metal Buildings can customize the length and width to fit your situation. Starting from 21’ and extending the length by 5’ framing increments. We can customize the height of your prefab metal building structure from 6’ up to 14’. 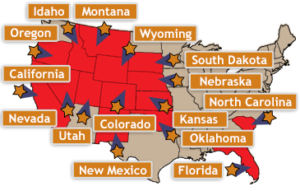 Some manufacturers offer 20’ high side walls, so check with our team of customer service representatives to learn about the height available in your area. Any custom metal building 14’ tall must be 18’ or wider. Our Triple Wide models offer 26 to 30 feet of wide-open, clear-span width with side wall heights up to 16 feet. Triple Wides are available in Florida-certified configurations that are designed to hold up to specific wind, rain, and even snow load requirements. 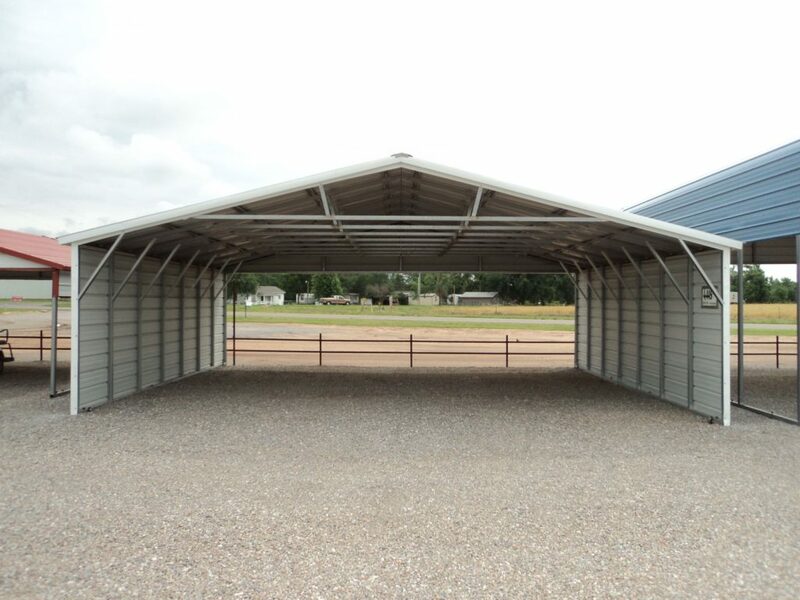 These steel buildings are ideal for large equipment, multiple vehicles, or any time a little extra space is needed. 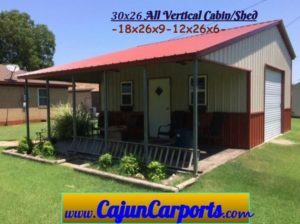 1 – What Size Carport Do I Need? What do you want to store under your metal carport? – Determine whether you need a single car carport, 2-car carport or specialty size carport for an RV, boat or agricultural equipment. The size of the vehicles or equipment you’re housing will help you narrow down the size you need. As a “guideline,” a 12’ wide custom carport can fit a single car, a 22’ wide steel carport can fit two full-size cars, and a 26’ wide carport can accommodate three midsize cars. Are you storing more than just vehicles? – If you plan to store more items in addition to your vehicles, you may want to consider adding more length to your custom prefab carport. The pre-engineered standard lengths for adding length to your design plans are 21’, 26’, 31’, and up, increasing in 5’ increments. How tall is your vehicle? – When deciding which carport style will best match your requirements, remember steel carports are measured by the height on the sides of the structure, not the top point of the carport. Make sure that your vehicle can clear the lowest point of the metal carport! 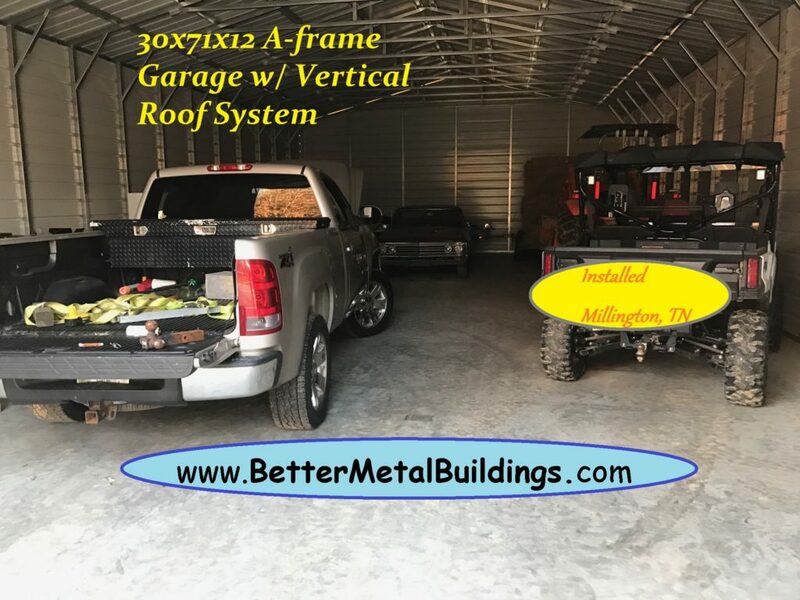 Better Metal Buildings, has a variety of carport buildings for sale with a standard height of 6’; however, your steel carport plans can be customized to a taller height. If you plan to enclose your metal carport and install a garage door in the future, make sure you consider that when customizing your steel carport. 2 – Does Roof Style Matter? Roof style can make a big difference in your custom metal carport price. It’s very important to consider the weather in your area when choosing steel carport’s roof style. If you live in an area that experiences heavy rain or snowfall, it is recommended that you go with a vertical roof style carport.The boxed eave style roof has a peak like the vertical style, except the panels are installed horizontally. For this reason, we recommend purchasing a boxed eave roof style carport if you live in an area that doesn’t experience a lot of snow or heavy rainfall. Regular roof style is an economical choice. However, because pre-engineered carport installation involves the roof panels being horizontal, it’s only recommended that you purchase this style if you live in an area that has very little snowfall or heavy rain. 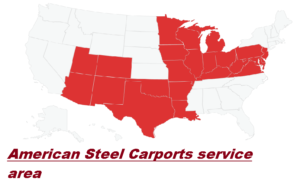 3 – Where are you installing your steel carport? Before the installation process you need to make sure the site is level, and that you have enough space to assemble the metal carport frame size, you plan to buy. 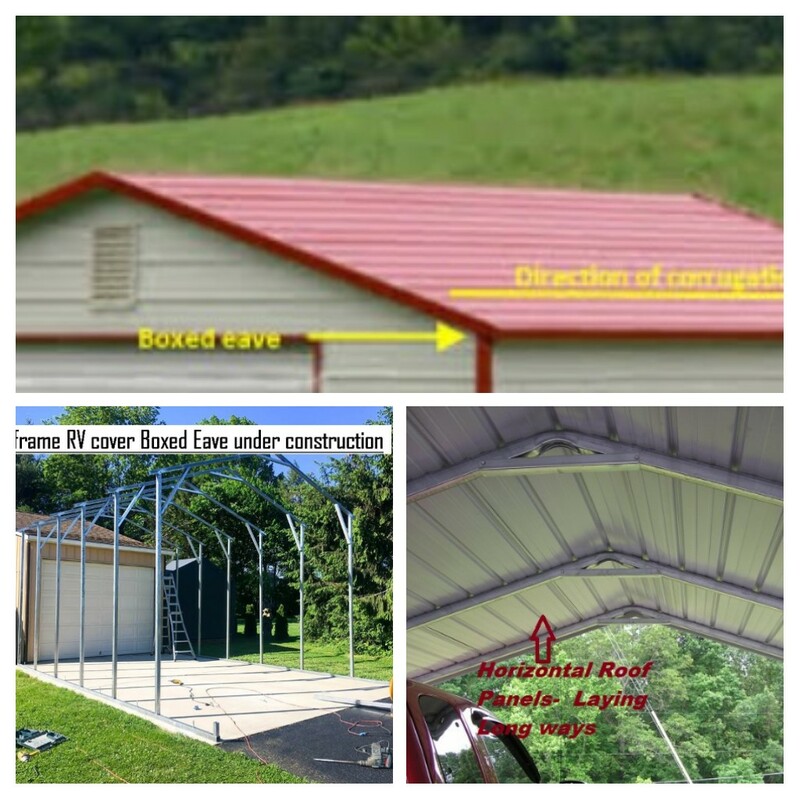 Not only should you measure the width and length of the site where you plan to install the carport, but you should also make sure that the height of the steel carport structure can accommodate your vehicles and equipment. 4 – Do local building regulations require that your carport design plans be certified? 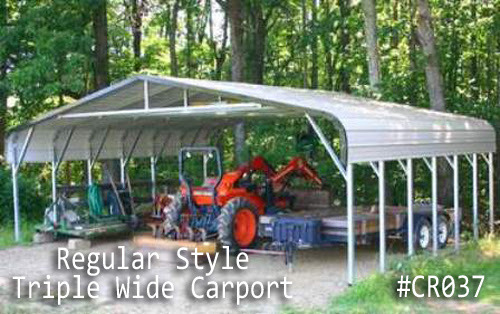 5 – What features would you like to add to your steel carport plans? 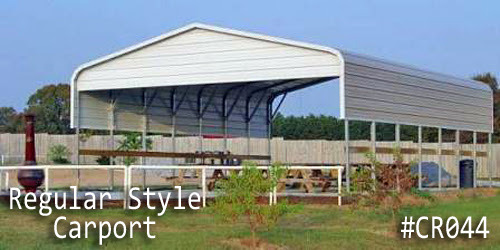 Color – The roof, trim, and sides on all our carports are available in a variety of colors. We offer seventeen different color options to customize the look of your new carport building. Color selection adds no extra costs to your metal carport price. Sides and Ends – Panels can be added to the sides or ends of your new pre-engineered carport to provide extra strength and protection for your vehicle and valuables. 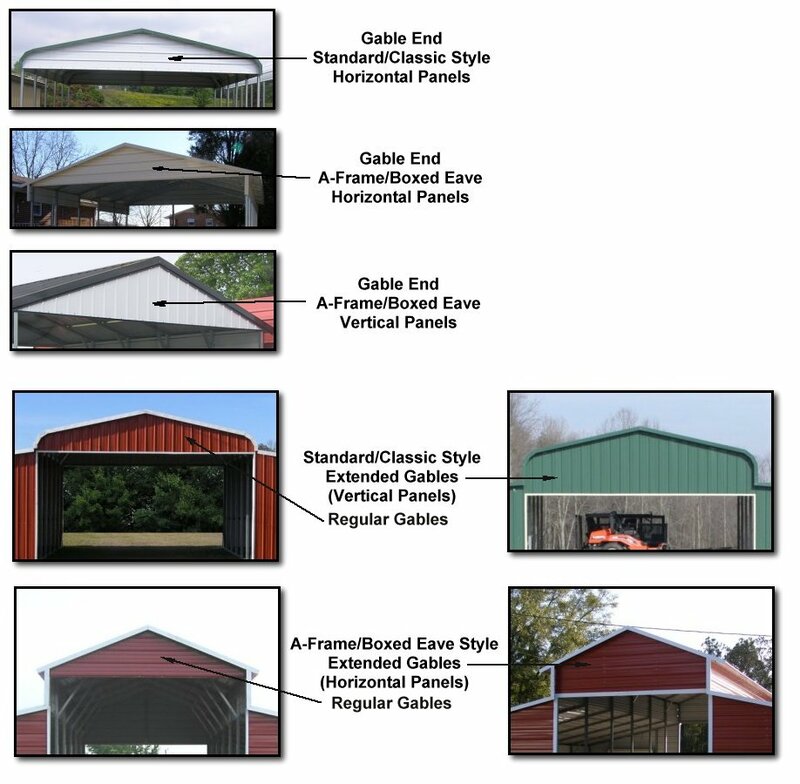 Gables – A gable is a triangular piece of metal that is installed at the very top portion of the front or back of your metal carport structure. These can be added to your design plans to conceal the frame; they add support and strength to the structure. J-Trim – Give your steel carport designs a nice, finished appearance and cover up edges so that they aren’t hazardous by using a decorative trim called J-Trim. 6 – Does your new metal carport need additional strength or support? Upgrade to 12-gauge steel – One way to add strength or support is upgrading to 12”-gauge steel. The standard steel gauge used for all metal carports is 14”-gauge, which measures 2 ½” x 2 ½”. If you would like to upgrade to a carport frame with a higher strength that can better support high snow and wind loads, then a two ¼” x 2 ¼” 12”-gauge steel frame would be recommended. 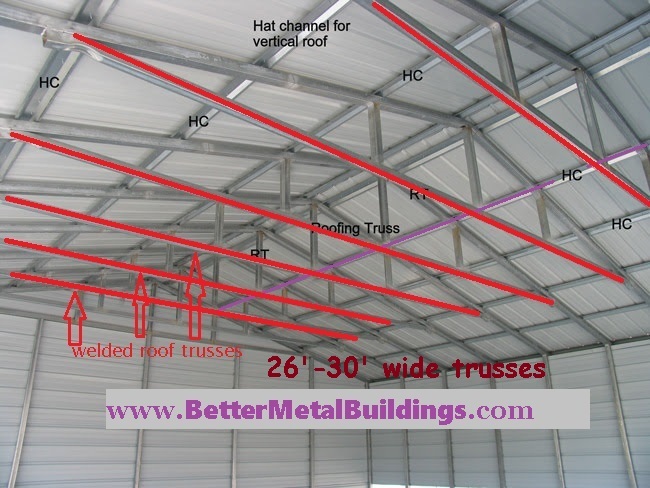 Additional Bows and Trusses – Bows and Trusses are structural supports that fit inside the roof and along the sides of a metal carport to provide extra support and stability. 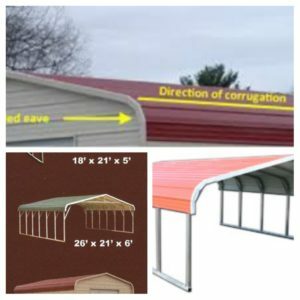 You should consider adding these supports to your custom carport design if you live in an area with heavy snow or other intense weather. Anchor types – The anchor used during installation will depend on the foundation type in which you plan to anchor the steel carport. If you feel that additional strength or support may be needed, contact one of our friendly building specialists for more information. 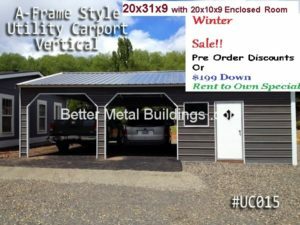 7 – How much do metal carports cost? The average cost of a metal carport starts at $1200 based on the structure and area of installation. Metal carport prices vary based on sizes, roof styles, and customization options. The state in which you install your new steel carport will affect pricing. All our steel carports include FREE delivery and installation. What happens now that I have found my perfect carport? Whether your design plans are ready or need some help, you can contact one of our friendly building specialists today to get started. 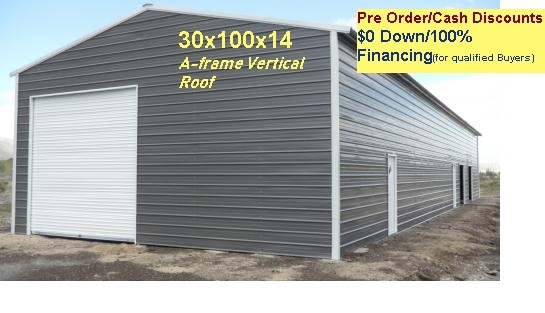 A deposit of anywhere from 10%, to 20% (* some of our financing it can be $0 – 20% deposit) is required when you place an order for your metal carport; the percentage will depend on the unit size and the manufacturer. The remaining balance won’t be due until your pre-engineered carport is installed. Before the scheduled date of your carport building installation, you need to make sure the ground is level, the foundation is set, and the area is cleared of debris. 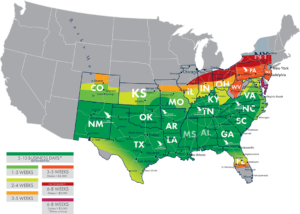 For more information about lead times for delivery and installation, speak with a customer service representative. At Better Metal Buildings, we are fully committed to ensuring that YOU are satisfied with your purchase, so we offer all customers a workmanship warranty on any new steel carport. Also, all our metal carports for sale include a 10-year panel warranty for chipping and cracking and a 20-year rust-through warranty on metal carport frames.